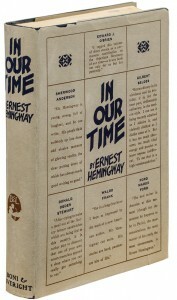 Volume 2 may span only two years (1923-1923), but it spans a tumultuous period in Hemingway's life: he travels to Spain and discovers bullfighting; he moves his family to Toronto; he resents it so much he moves back to Paris; he publishes his first book of short stories, and begins work on what would become The Sun Also Rises. This timeline presents key events that take place in this installment. Six poems by EH published in Poetry: A Magazine of Verse. EH returns to Paris and visits the apartment at 74, rue du Cardinal Lemoine, in a working-class neighborhood in the fifth arrondissement, where he and Hadley have lived since January 1922. EH embarks with Robert McAlmon on his first trip to Spain to attend the bullfights; they are joined by Bill Bird in Madrid and travel on to Seville, Ronda, Granada, Toledo, and Aranjuez. EH returns to Spain with Hadley to attend the Fiesta of San Fermín in Pamplona. EH and Hadley sail from France for Canada aboard the Andania. EH begins work as a staff writer on the Toronto Daily Star. “In Our Time,” six vignettes, are published in the delayed Spring 1923 issue of the Little Review. EH obtains a copy of the magazine on his trip to New York. John Hadley Nicanor Hemingway, nicknamed “Bumby,” is born. EH is en route back to Toronto and misses the birth. EH’s resignation from the Toronto Star takes effect. 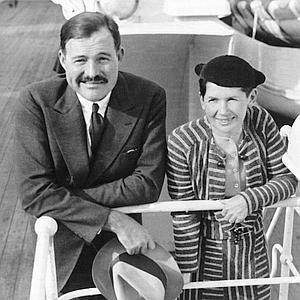 The Hemingways sail from New York to France aboard the Antonia. EH begins assisting Ford Madox Ford with the Transatlantic Review and advocates the serial publication of Stein’s The Making of Americans. in our time is published in Paris by Bill Bird’s Three Mountains Press. EH and Hadley travel to Spain, leaving Bumby with their housekeeper, Marie Rohrbach. In Pamplona they stay at the Hotel Perla and are joined by John Dos Passos, Donald Ogden Stewart, Chink Dorman-Smith, Robert McAlmon, George O’Neil, and Bill and Sally Bird for the Fiesta of San Fermín. F. Scott Fitzgerald recommends EH’s work to Maxwell Perkins, editor for Charles Scribner’s Sons. EH’s review of Sherwood Anderson’s A Story Teller’s Story appears in the Paris edition of the Chicago Tribune. Liveright offers to publish EH’s short-story collection In Our Time; EH accepts by cable on 6 March. EH meets Pauline Pfeiffer, a writer for Paris Vogue, whom he will marry in 1927. EH meets F. Scott Fitzgerald at the Dingo Bar in Paris. EH and Fitzgerald travel to Lyon to retrieve the Fitzgeralds’ automobile, driving it back to Paris. 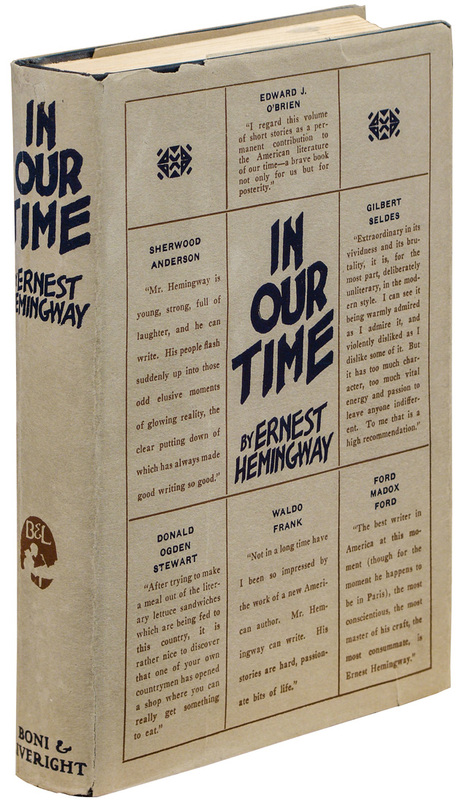 Soon thereafter, the Hemingways accept an invitation to dinner at the Fitzgeralds’ rue de Tilsitt apartment, where they meet Zelda for the first time. Having sent Bumby to Brittany with the Rohrbachs, EH and Hadley travel to Spain. They are joined by Bill Smith, Donald Ogden Stewart, Harold Loeb, Duff Twysden, and Pat Guthrie for the fiesta at Pamplona. EH will use parts of the trip as the basis for his first novel, published in 1926 as The Sun Also Rises. In Our Time is published in New York by Boni & Liveright. EH expresses disappointment over Gertrude Stein’s refusal to review In Our Time, marking a break in their friendship. Satirizing his early mentors, EH writes The Torrents of Spring, a parody of Sherwood Anderson’s Dark Laughter and Gertrude Stein’s The Making of Americans. Pauline Pfeiffer joins EH and Hadley in Schruns for the holidays. 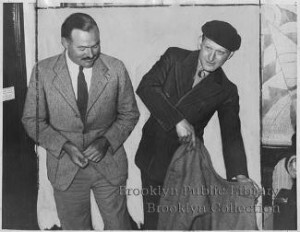 In a cable to EH, Boni & Liveright rejects The Torrents of Spring, thus freeing EH from his contract with the firm and allowing him to move to Scribner’s. 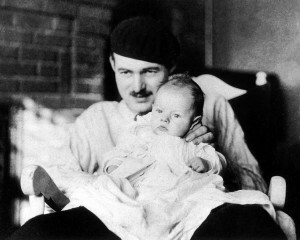 This timeline has been adapted from The Letters of Ernest Hemingway, Volume 2 (1923-1925), edited by Sandra Spanier, Albert J. DeFazio III, and Robert W. Trogdon.